The deputies had called on Prime Minister Jack Guy Lafontant to answer questions after riots erupted. He took the opportunity to resign. 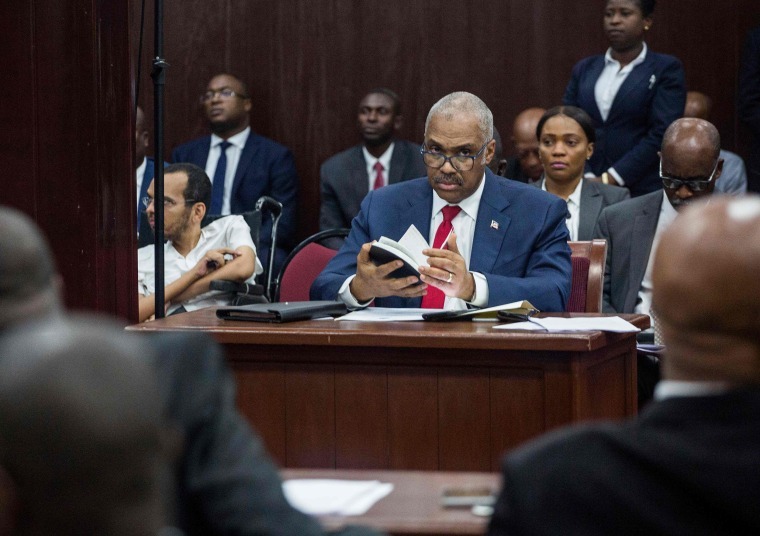 PORT-AU-PRINCE, Haiti — Haitian Prime Minister Jack Guy Lafontant resigned Saturday amid widespread unrest following his failed attempt to increase fuel prices. Lafontant told Haiti's Chamber of Deputies that he had sent President Jovenel Moise his resignation letter. The deputies had called on the prime minister to answer questions after riots erupted from July 6-8 to protest the government's attempt to raise fuel prices by up to 51 percent as part of an agreement with the International Monetary Fund. At least seven people died and dozens of businesses were looted or destroyed. Small protests were held in different parts of Haiti's capital on Saturday to demand that government leaders step down. A group of senators had called Saturday's meeting for Lafontant to address the legislature and he took the opportunity to resign.